When did you first play Julius Eastman's music, and when had you become aware of it? 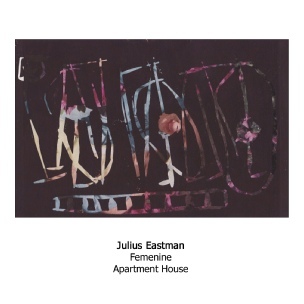 I first performed Eastman's music in 2016, which was a revelation for me, as the extant scores are rather fragmentary and incomplete, some are even just transcriptions from archive recordings. Actually performing his music opened it out and became rather a wonderful experience with the musicians of Apartment House, who are some of the most amazing musicians I have ever worked with. I have known of the historical figure Julius for many years, mainly by association with his activities around Buffalo in NY state in the 70's, as a composer and performer. Also I had been aware of him on my radar through composer Mary Jane Leach's tireless collecting of all things Julius. I also met her by chance in NYC in 1998 at a friend's loft. In the experimental community there are a lot of resonances and symbiotic relations that co-exist and generate knowledge about composers and their work, so he has always been there waiting for me I feel. Why do you think his music was forgotten for so long, and what is it about Femenine that feels right or relevant in 2019? The main reason his music was forgotten about was because it was unavailable and (much of it) lost. As I mentioned it is thanks to Mary Jane Leach that we have much of the material that is performed now. 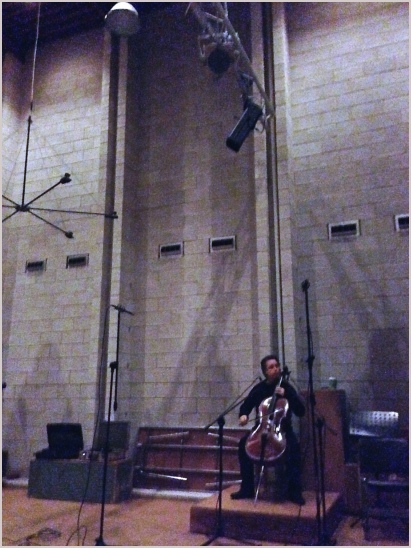 Other people such as Clarice Jensen did amazing work reconstructing such a work as the 10 cello piece The Holy Presence of Joan Arc from an archive recording. Additionally I think that the mainstream music world, the uptown world, the world of music publishers, were not particularly interested in rediscovering the more experimental work of Julius, which can involve improvisation and a more flexible, intuitive approach to performing music. What is relevant about Femenine now, in 2019? 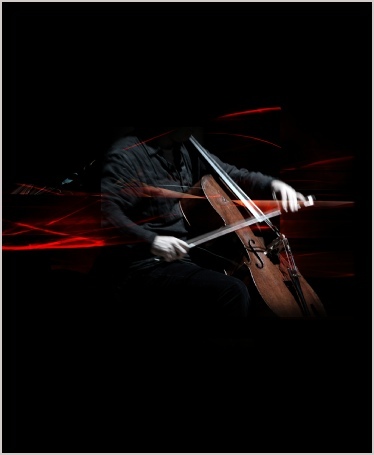 I am not sure, but there is an acknowledgment that this is very good music, that it is music that comes alive when performed with care and commitment, a lot of pieces are only as good as what the musicians put into them. This is of course quite a 60-70's thing in experimental music, we see it in realising the music of Christian Wolff for example. Julius' music is also quite ecstatic and to my ears gives audiences and performers alike pleasure, whether from some kind of organic groove or a totally passionate immersive experience. Femenine grows from a simple 2 note rhythmic cell in the vibraphone, which is repeated for the full duration of the piece, and in the background we have an asynchronous aural 'curtain' of sleigh bells. Gradually the instruments join this cell, merge with it and interplay in many, many different ways, so that the progress of the work is very much a journey, or like the opening of many beautiful flowers. There are moments of strangeness, instability, joy, melancholy and an aural fascination with heterophonic intricacy and intimacy. Lastly, Femenine is communal music, it instills a sense of community within the listening experience, it is honest and unselfish, it is something we aspire to, it is great music. I made this print directly after the first time we performed Femenine. It is a linocut printed onto a photograph of flowers taken from an old magazine. The abstract jagged lines were cut as an intuitive response to the feeling of Eastman's music. There is something about the climactic focal points of parts of Femenine which make me think of flowers opening. My art practice is just as important as my musical practice, they intertwine in many different ways. Apartment House has been in existence for nearly twenty-five years now. How is it organised, and has the music that the group focuses on changed over the years? I don't feel that Apartment House is organised, in many ways it is disorganised. There is no organisation behind it, no board of directors or a committee. It receives no funding. There are no aims for it, no direction. I am very lucky in that the musicians of Apartment House are very understanding and totally committed to performing. They are probably the best musicians I have ever worked with. I am very responsive to music being composed now and I have a great interest in music that emerged in the heyday of modernist avant-garde and experimental music during the 1950's-70's. Also I like some music from earlier in the 20th century, in particular French music, which I adore. The very first Apartment House concert featured music by Cage, Christian Wolff, Chris Newman, etc. so in many respects nothing has changed. But for nearly 25 years I have programmed a vast array of styles and types of composition. There was a period of time when we performed quite a lot of German music for example, but if one looks at the programmes we have done, there really is no theme or thread that runs through them.